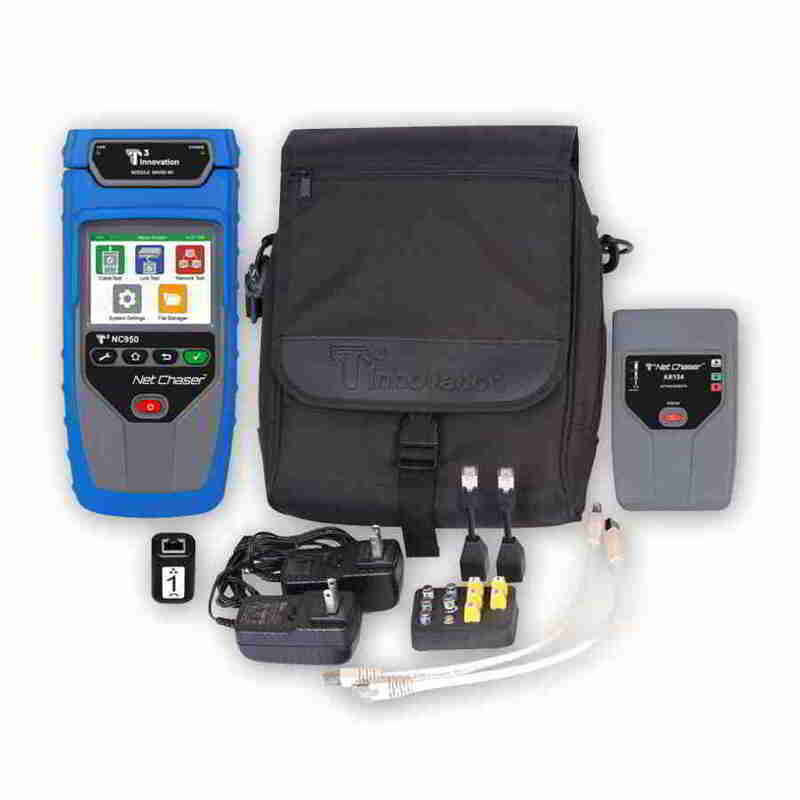 The Net Chaser™ Ethernet Speed Certifier offers a complete solution to test and speed certify the data-carrying capabilities of Ethernet network cables up to 1 Gb/s by testing for noise in the network, detecting faults in the cable wiring, and ensuring that cables are able to support the speed capabilities of active equipment. The NetChaser’s advanced discovery gives the clearest vision of network layout and interfaces between active components like servers, switches, routers, etc. All the information is collected, stored, and ready for reporting. 21st century speed certifi cation. 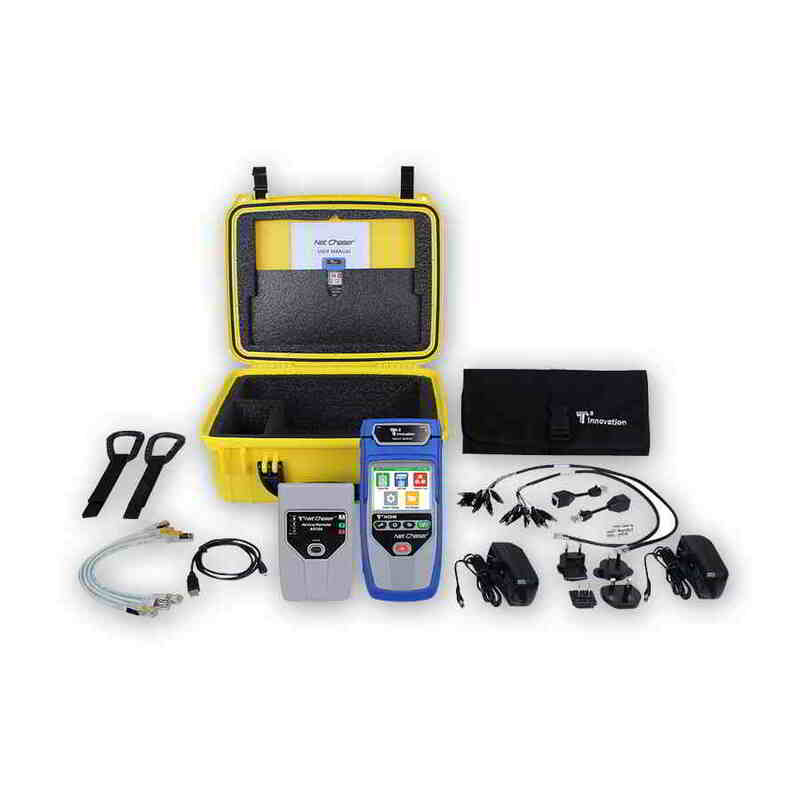 To certify Ethernet speed performance of cable runs, the Net Chaser™ conducts Bit Error Rate (BER) tests (using Active Remote) by sending data packets down specifi ed cable runs at defi ned data rates to check for errors at the maximum throughput of the link. The Net Chaser™ reports on signal quality that can impact high-speed data trans- mission by measuring signal-to-noise ratio (SNR). Skew measurements report on the signal time delay between pairs that can impact Gigabit data transmission. Finally, the Net Chaser™ unit provides continuity testing that detects opens, shorts, miswires, split pairs, reversals, and high-re- sistance faults while accurately measuring distance to faults and total cable length. - ID Only remotes (Network and Coax) - up to 20 available. - Testing and ID Remotes - up to 8 available. 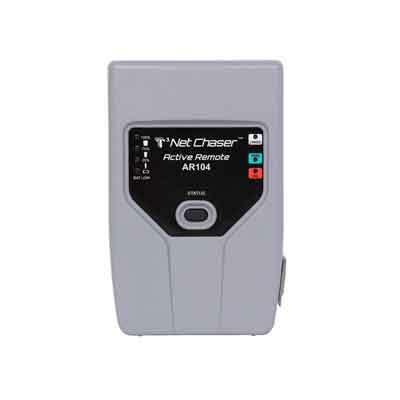 The Net Chaser™ includes a comprehensive set of features for testing active network capabilities: measure Power over Ethernet (PoE) to ensure the correct power is available on the correct pins, use Port Discovery to ensure the correct speed and duplex capability are available; connect at gigabit Ethernet and run ping tests to verify connectivity to IP hosts; discover network devices using Cisco Discovery Protocol (CDP) or Link Layer Discovery Protocol (LLDP); VLAN discovery; Traceroute function displays the path internet packets travel to reach a specifi ed destination. 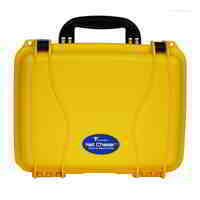 The Net Chaser™ also saves test reports and exports to PC’s.